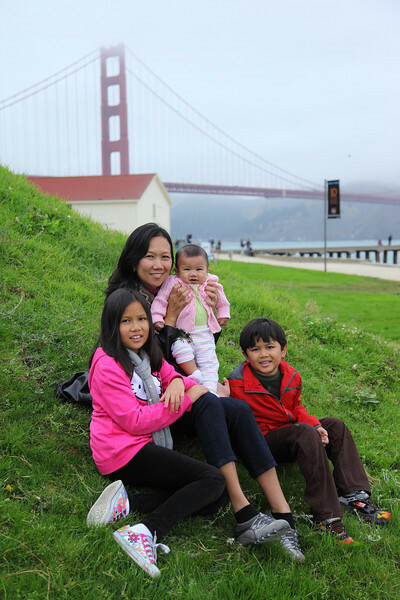 Visions of cooler weather and cravings of Jollibee fast food filled our California dreams for a final summer family vacation. Our west coast getaway included our newest addition to the household, newborn Serena. This is Serena's first out of state and commercial airline flight trip with the Soriano clan. With stroller and car seats in tow, our itinerary consisted of the San Francisco Bay area with car trip south along Pacific Coast Highway to Greater Los Angeles. 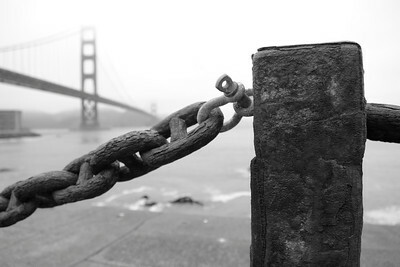 A hot and humid Florida summer led to a surprisingly cold San Francisco. It was winter apparel for northern California during the day and especially at night. Hot sugary fried donuts and Boudin Bread Bowl clam chowder at Pier 39 eaten while overlooking the salty Sea Lions kept us warm followed by Jollibee Chicken Joy at night in Daly City. Culinary traveler's are we, born to be free! 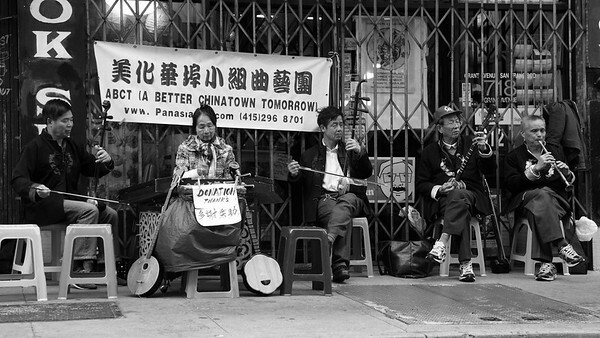 All roads do lead to Chinatown. From Cable Car, rental car or foot, the lure of authentic Chinese delicacies, culture and tourist trap souvenir gifts satisfies hungry adventurers. Large appetites are built from exploring multiple destinations such as the Palace of Fine Arts, California Academy of Sciences, Coit Tower, Alcatraz and the Presidio. Our Food-cation to California had a hint of education. 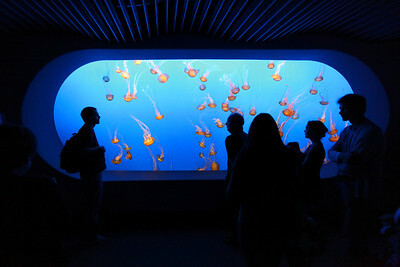 We headed south to the legendary Monterey Bay Aquarium with all of its oceanic sights and wonders on Cannery Row. From every type of Jelly fish imaginable to the large wonder of the Open Sea Galleries, you will not be disappointed or bored at this aquatic spectacle. Live California Giant Kelp towered the 33 foot aquarium in the Ocean's Edge exhibit. 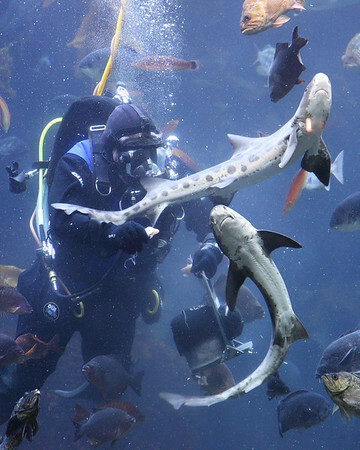 Filled with a constant supply of raw seawater from the bay, this exhibit displayed authentic California coastal marine life with the added bonus of a live feeding from an aquarium SCUBA diver. Very brave fingers in a tankful of hungry fish, sharks and eels. 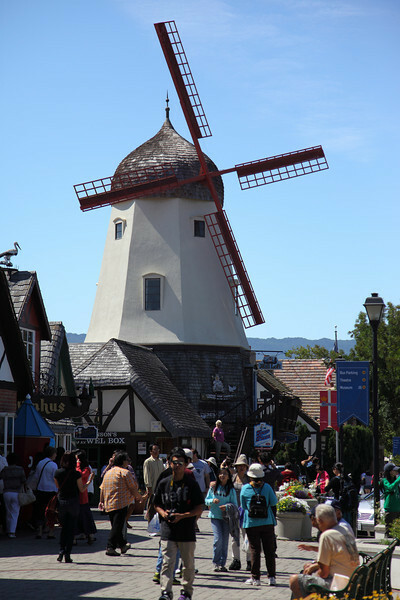 Our next stop of Solvang, California was a culture clash, of sorts. Busloads of Chinese tourists came in droves invading the Danish influenced countryside. Call it Chinatown in Denmark. 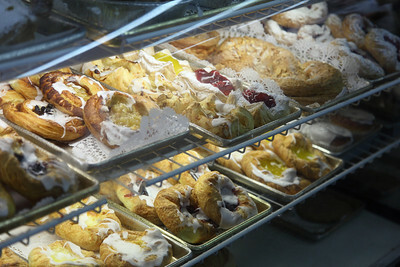 The aroma of Chinese cuisine was replaced by the yummy goodness of Danish bakeries. My son did not notice the culture debacle, he only noticed the closest origin to the Cheese Danish. With baked goods and souvenirs packed, we move on to southern California. Warmer days in Hollywood, California bring out the stars like Selena Gomez and Justin Bieber according to my daughter. All I see is 90 degree weather and In-N-Out Burger with my name on it. Of course, in L.A. nothing is what it seems. We really visited my wife's High School friends and my daughter's God Parents in the Hills. Lookout Miley Cyrus and Miranda Cosgrove, my daughter's eyes are locked on the next audition at Disney and Viacom's Nickelodeon Studios. We headed to The Grove for some Hollywood Star sightings but all we encountered was a full parking lot and a crowded Apple Store. Bummer! The Hollywood Walk of Fame did not bear one Call of Duty: Black Ops character name on Hollywood Boulevard to the grave disappointment of my son. 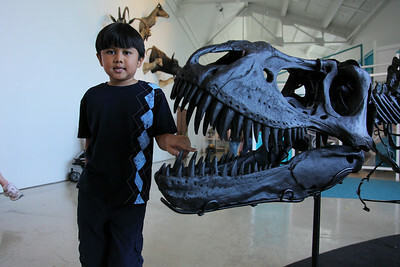 He was content with life size dinosaur bones and live insects at the Natural History Museum of Los Angeles County next to the University of Southern California campus. Serena had her own Paparazzi...Me! 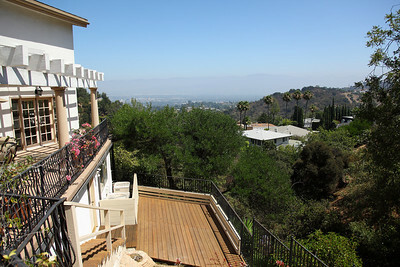 The hills of Mulholland Drive provide a glitzy backdrop for my highly photographed family. Watch out Angelina Jolie and Brad Pitt! All good things come to an end. With luggage teaming with Goldilock's baked goods, we leave California with a smile of good memories and a frown to the kid's first day of school this week. Summer is finally over. You can view more shot with the Canon EOS 5D Mark II in my California Summer Vacation 2011 Gallery. Cool travel post. I'm curious to know what kind of gear bag/backpack you use? Can you share any reviews on gear bags? Thanks! For my most recent family travels, I use the Domke F4-AF shoulder bag. Perfect size for under the airline seat and able to hold three lenses, external Azden ECZ-990 shotgun mic,an external flash and charger with battery. This Domke bag has been tried an tested with good results. I sling the shoulder strap diagonally to keep my hands free for family duties and keeps the bag off the ground. I have used photo backpacks once and only once. You have to lay them on the ground to get anything out. Not good. My second choice to Domke is KATA. Just as versatile as the Domke but it looks like to much like a camera bag. I like low profile to keep the riff raff away. I hope that helps out! Chad, those are the same points I consider too for a new bag..."family duties". I dont want to have to put down my diaper bag and camera bag down first, etc. And also not have a big brand name that says "theres a nice camera in here stea l me". Thanks! I am glad I could help out. I wish you safe travels with your family! If you don't have an account, subscribe on Coinbase to get your sign in info. Coinbase Sign In To discover specific information as well as help to settle your problems. This is very important for every human.